A staple of your two-wheeled wardrobe, a set of one-piece leathers is a must-have item. 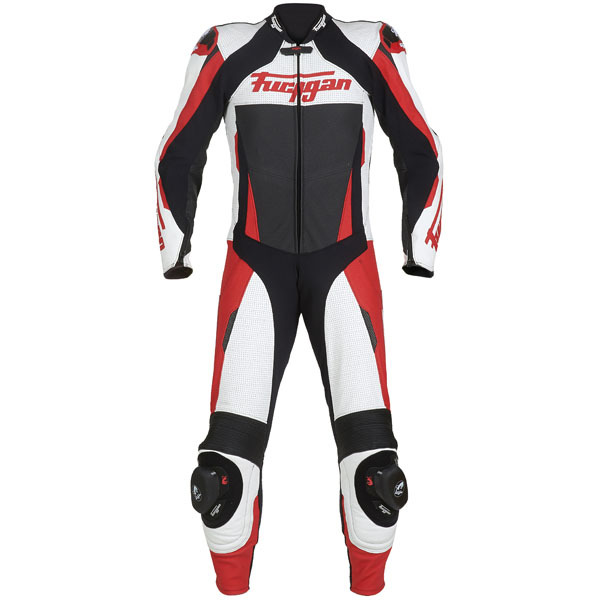 Offering the absolute best levels of protection, if you’re serious about trackdays or even fast roading, you’ll inevitably end up with at least one suit. While the basic premise of a one-piece hasn’t changed much over the years, the technology, protection and looks certainly have. Here’s our guide to the best one piece suits on the market currently. 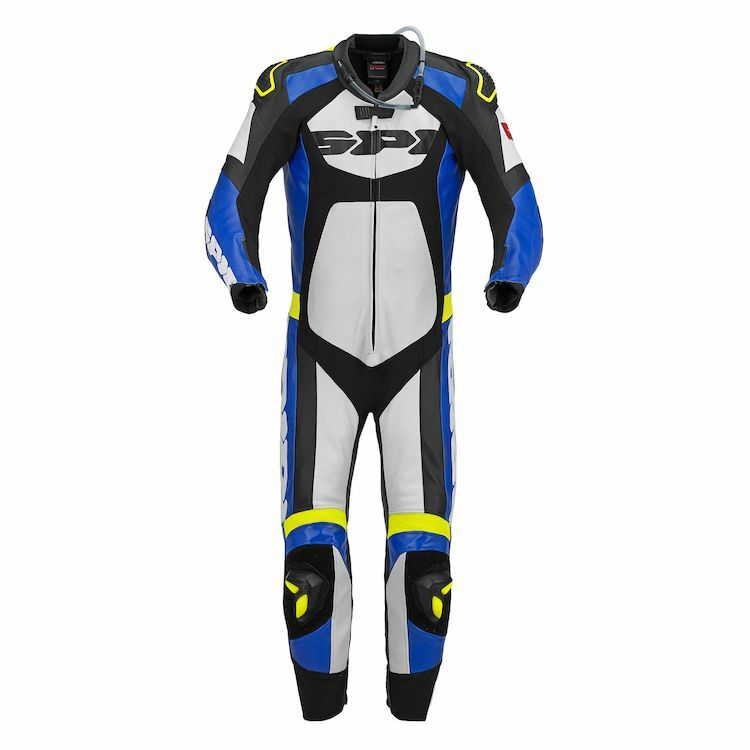 Available in perforated or non-perforated cowhide, and fitted with Dainese’s D-Air airbag system, this suit wants for nothing. It’s got more sliders than you’ll ever need, plus an integral back protector. There’s elasticated panels on all the stretchy bits to keep it as comfy as possible and it’s CE level 2 certified. More or less, it’s exactly what Valentino Rossi wears every weekend. 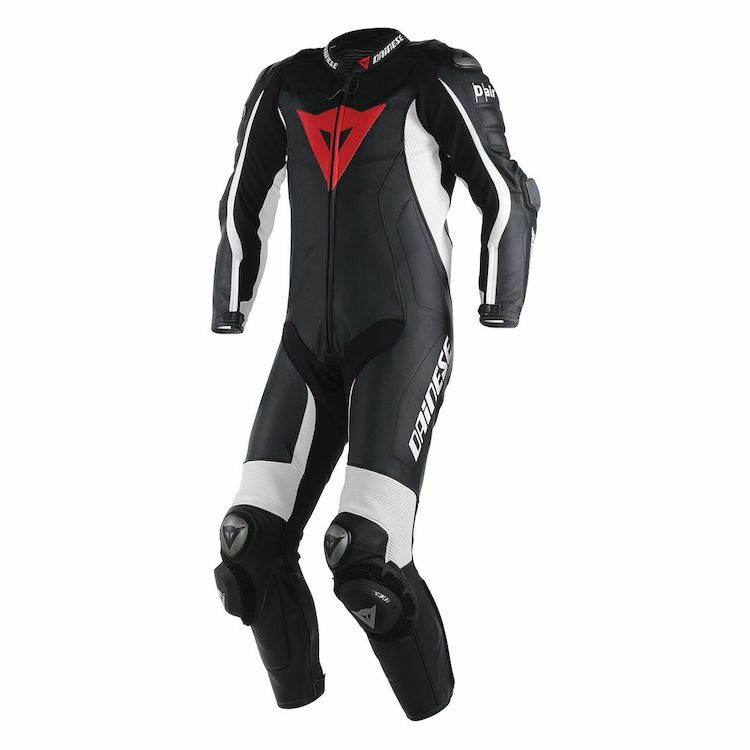 The Tech V2 suit is Alpinestars’ answer to Dainese’s Misano suit. 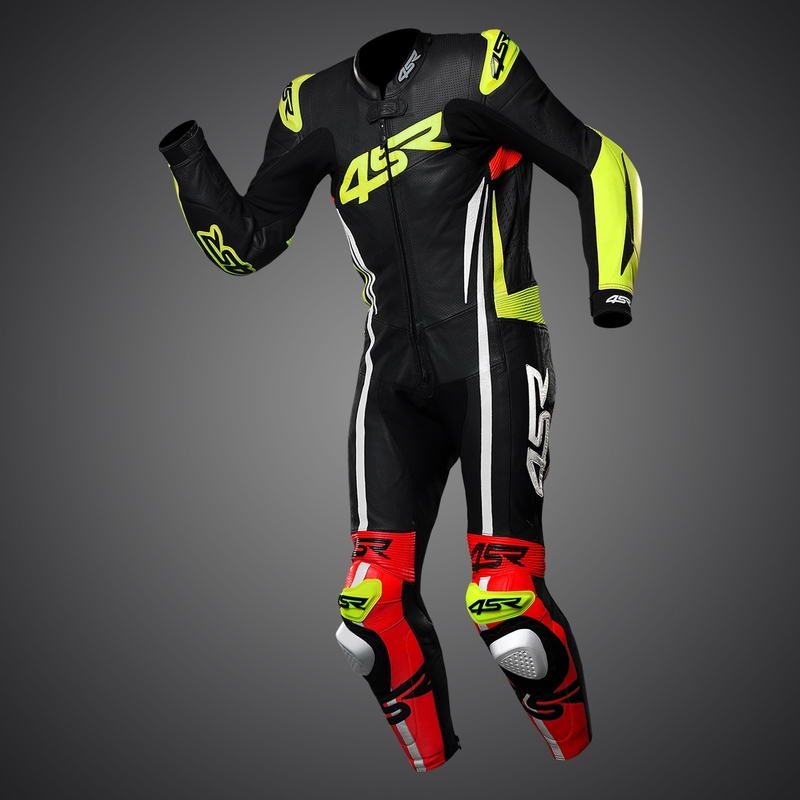 It’s made of kangaroo and cowhide leather to make it lighter and it’s compatible – but not supplied with – Alpinestars’ Tech-Air airbag system. Rather than make use of aluminium, the sliders are made of durable polyamide. Various areas on the suit are made of perforated material and just like the Misano suit, the liner is removable and washable. It’s CE1 level certified (not CE2), and can accommodate a hydration pack in the hump on the back. We like it a lot. A nice bit of kit from Sidi, this. It looks smart and comes in 3 colour schemes. It’s got CE level 1 approved armour and is made of 1.1-1.3mm cowhide. It’ll take a hydration pack in the hump and the elbow sliders are quickly removable should you be out for a bimble rather than a pole lap. You’ll notice that the knee-slider area is huge allowing a vast range of positions. Just like all the suits we’ve mentioned so far, the liner is removable and washable, and the cuffs and collar are made of neoprene. If you watch BSB you’ll probably have seen this little-known brand, 4SR. Based in the Czech Republic, they’re growing in popularity and make some properly nice suits. 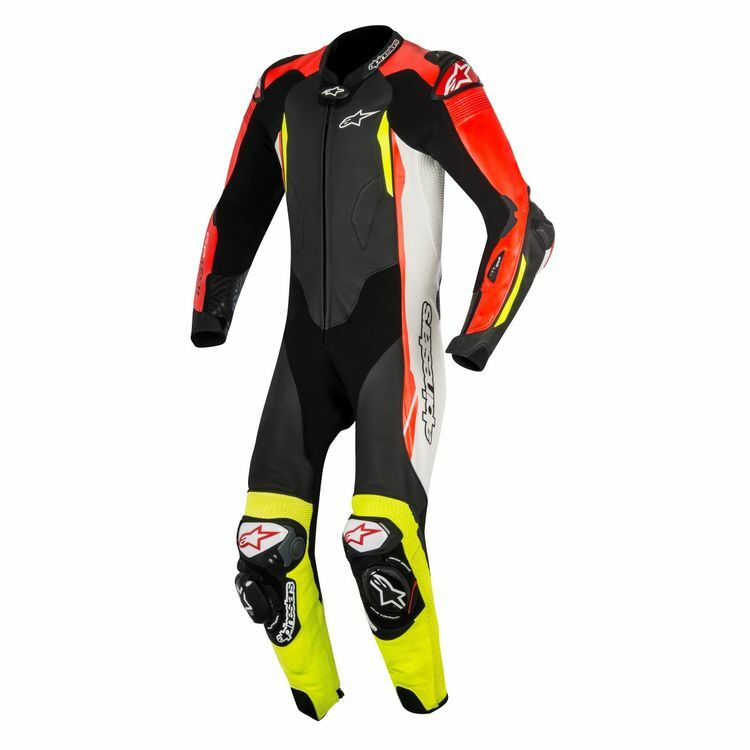 This one, the Racing Neon, is made of 1.2mm cowhide and has 18 “ergonomically placed” protectors, which they claim is the highest amount in any off-the-peg suit. The hump will accommodate a hydration pack, and it’s the only suit we know of that includes a chest protector as standard. They even do matching gloves… sweet. The French brand make some cracking lifestyle-esque gear, but they also make some wicked suits. This one’s made of 1.4mm cowhide and has D3O armour which is well respected stuff. Interestingly, the hump on the back is removable, which we’ve not seen on any other suit. The cuffs and collar are neoprene for snug-fitting comfort, and the elbows and shoulders have aluminium inserts. Ace value for money, with classic looks. You don’t often see Ixon suits around, but if you’ve ever looked at Bradley Smith’s leather-clad bum, you’ll notice he, for one, wears an Ixon suit and that’s good enough for us. This one’s made of 100% kangaroo leather (hence the price tag) and boasts a “silicon treatment” which, we think, makes it more slippy, both aerodynamically and to aid moving around on the bike. The arms and legs are pre-curved, there’s perforated stretch panels everywhere, and the armour is a mix of CE level 1 and 2. Just make sure you buy it in black. And there you have it. Those are, we reckon, the best suits on the market at the moment. No matter your budget, we reckon you’d be happy with any of these – we know we would, anyway.